“Keep Austin weird” – the unofficial slogan you see on bumper stickers across the city, and one that was coined by the Austin Independent Business Alliance to promote small businesses. There’s definitely an independent, alternative feel to the state capital of Texas – not least because of the hundreds of food trucks on its streets. Our stay in Austin coincided with Austin City Limits (ACL) music festival, so the city was even busier than usual. 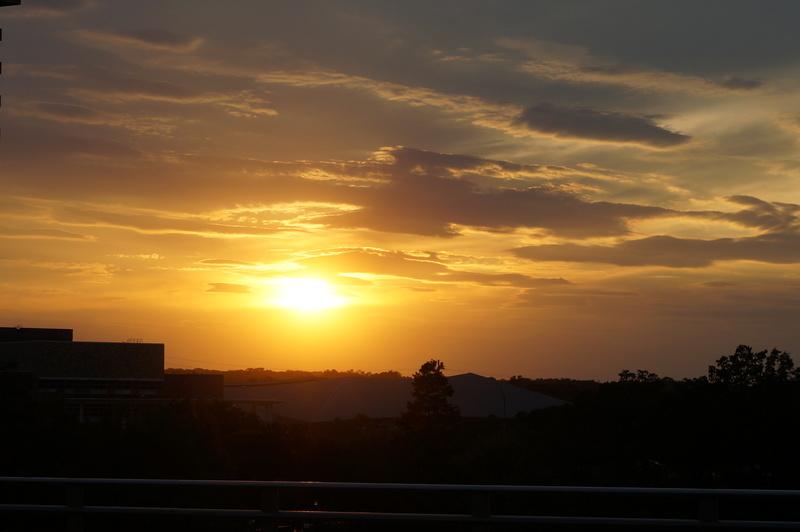 We arrived late after our long drive from New Orleans and we were greeted by a beautiful Texas sunset en route. Late next morning we visited Kerbey Lane Cafe, a 24-hour diner near to the University of Austin at Texas, which serves traditional Tex-Mex brunches. The omelette, avocado, Monterey Jack cheese, tomato salsa and home fries plates come with free coffee refills – perfect for rinsing the wifi and planning our next steps – first of all, we had to Google the nearest “washeteria” to do our laundry. Travelling’s not all glam! 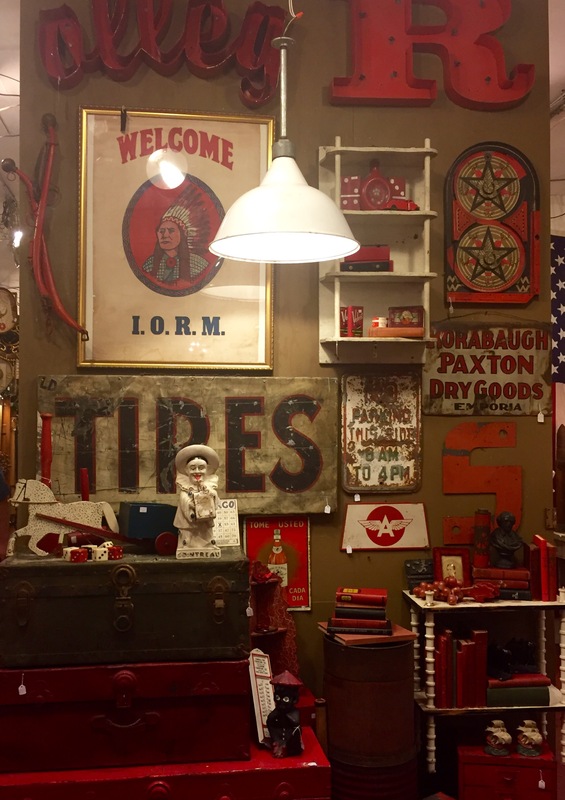 We headed down to South Congress Avenue and had a look around the vintage stores selling cowboy boots and fringed leather jackets. 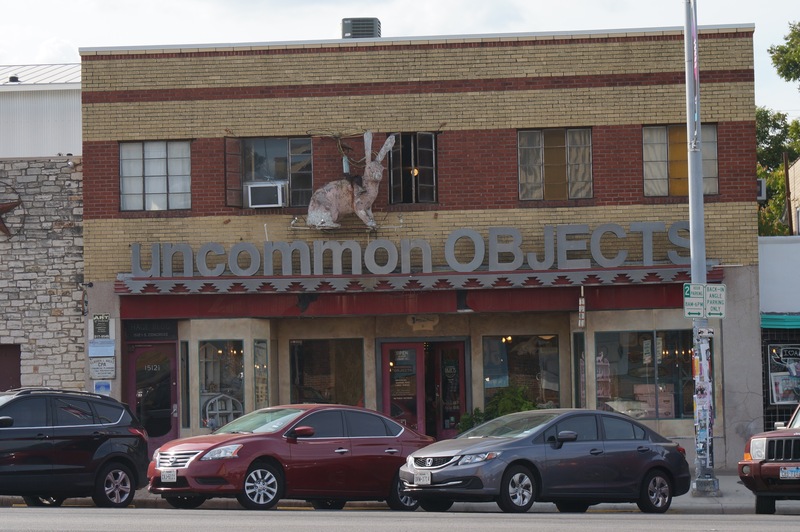 A little trip to Uncommon Objects is a great way to while away an Austin afternoon. 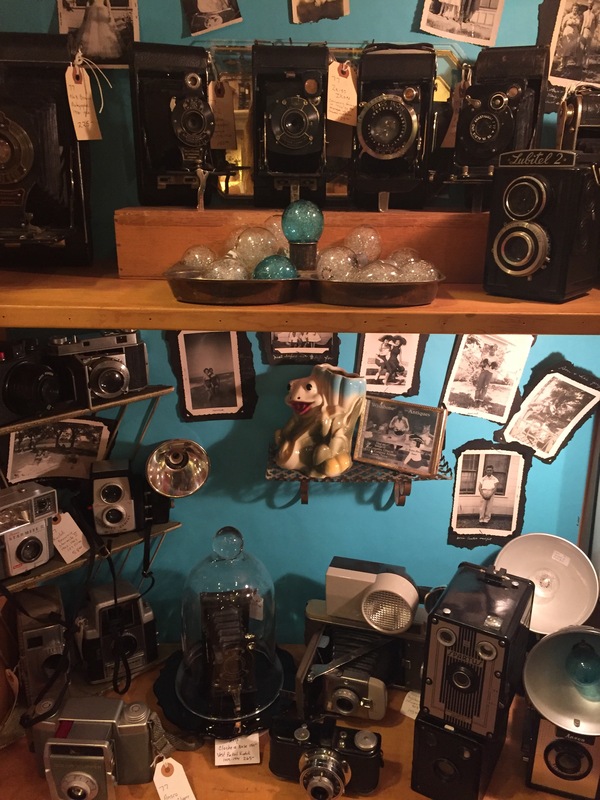 The most weird and wonderful vintage trinkets are organised by colour, not type, which makes for some interesting collections. 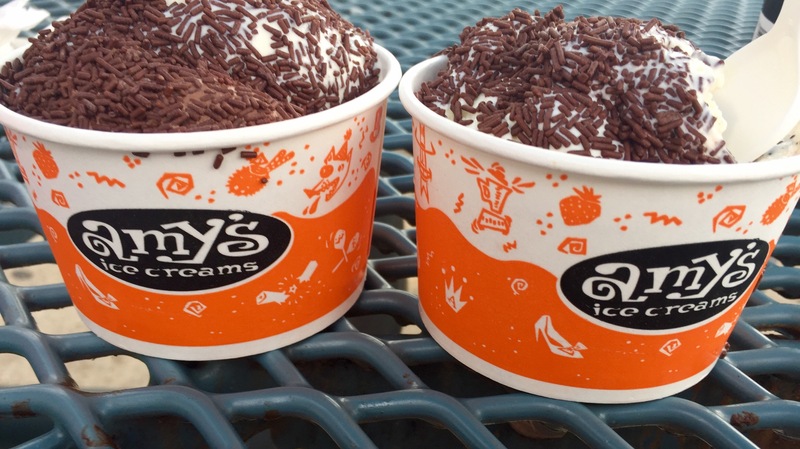 Amy’s Ice Cream has a few locations throughout Austin, including one on South Congress Avenue. Judging by the long lines outside, it seemed that it must be pretty good ice cream. We joined the queue and spent a long time deliberating over their different combos. We can confirm that the white chocolate chip with free chocolate sprinkles was delicious. They gave us a “small” scoop – hence the ginormous portion as seen below. South Congress Bridge is famous for the 750,000 Mexican free-tailed bats who call it home every autumn, before they migrate south for the winter. Crowds gather at dusk to watch the bats fly out over the city for the evening, off to do the Austin residents the great favour of eating all the mosquitos. Unfortunately for us, and the massive crowd that had gathered on the bridge, the bats must have slept in as we didn’t see too many of them. 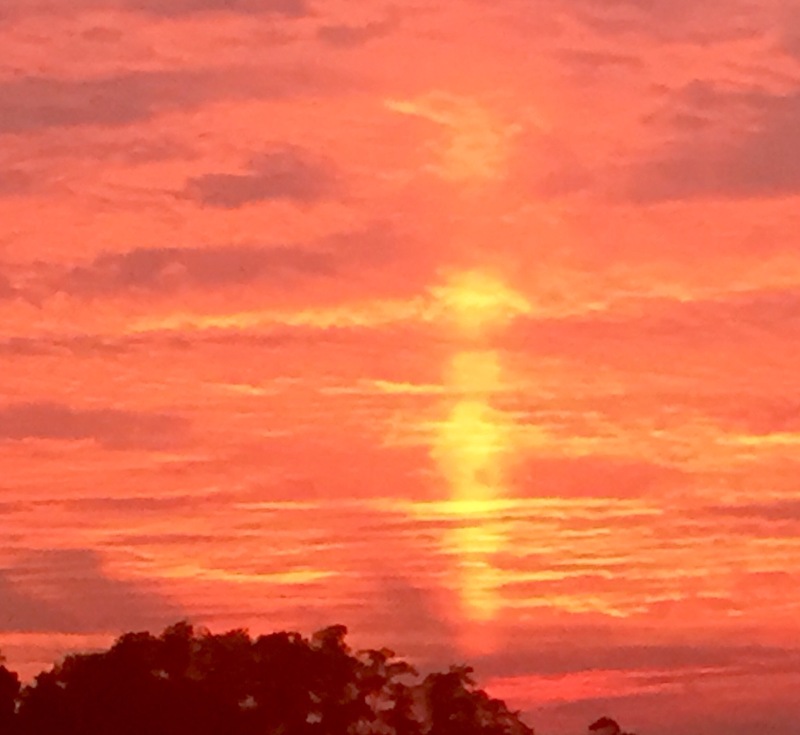 We were treated to another beautiful sunset instead. 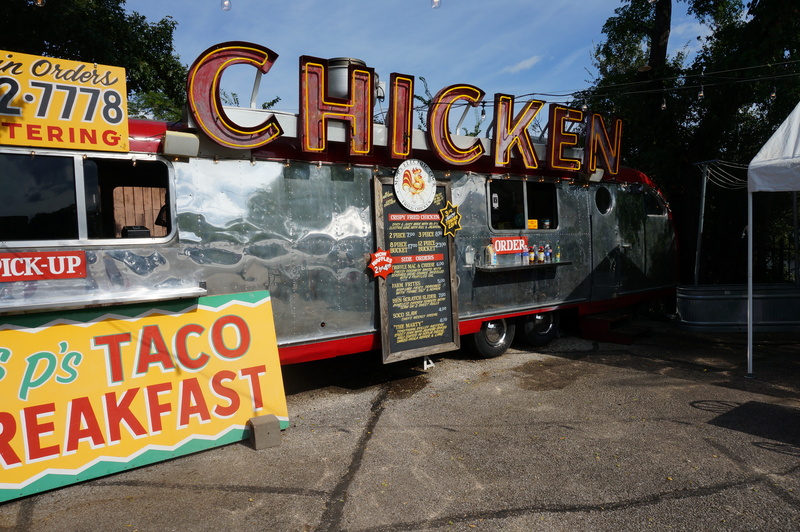 We found ourselves in the mood for tacos – lucky, given that there is a taqueria on almost every street in Austin. 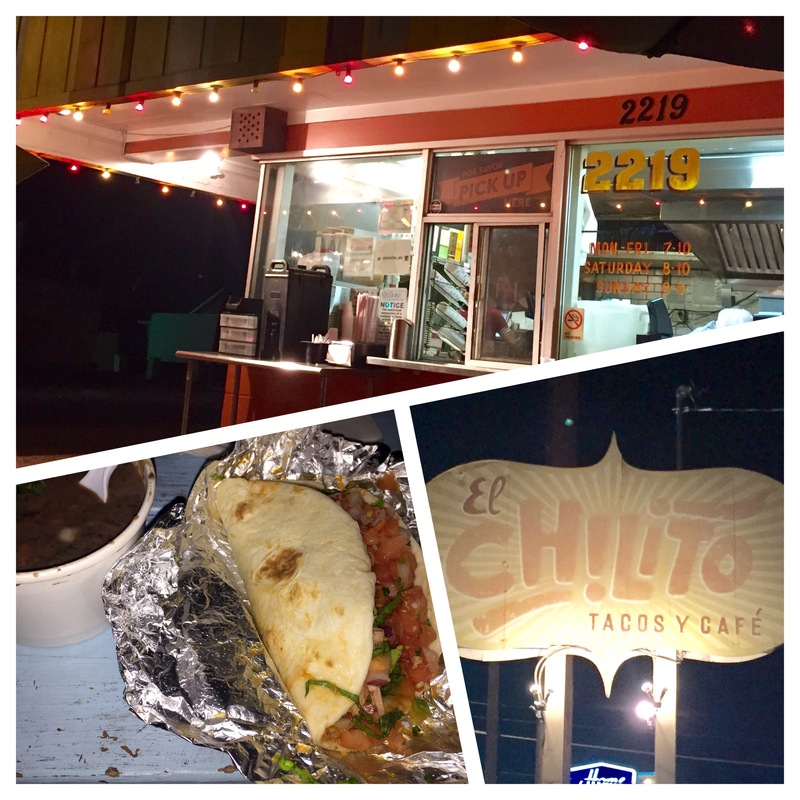 We had heard about a little roadside taco place around the corner from our Airbnb, El Chilito. It was a very relaxed place to eat. We parked and walked up to the ordering window, going for the tinga de pollo (braised chicken in a chipotle tomato sauce, served with lettuce and pico), the barbacoa (beef cheeks steamed with onions, citrus, garlic, and coriander) and a chipotle-spiced black bean soup. We grabbed a seat on a kerbside bench whilst our order was being prepared. A few very long minutes later and we were in taco heaven. 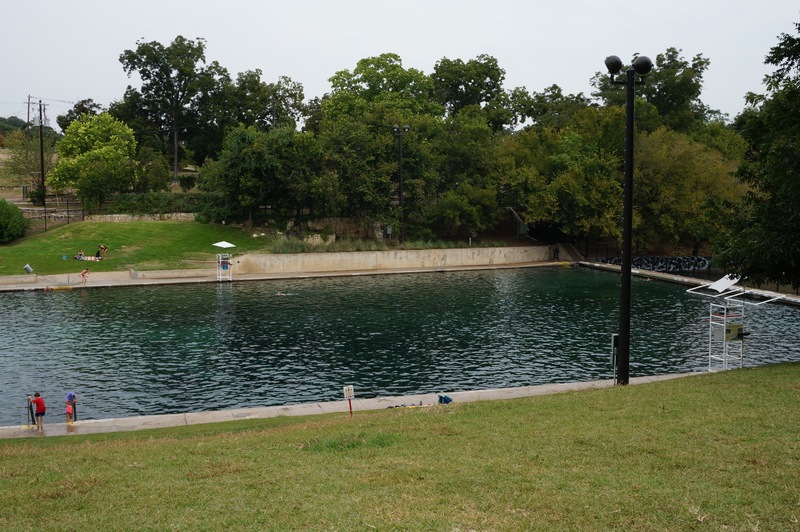 No visit to Austin is complete without a visit to Barton Springs; a freshwater pool man-made from Barton Springs in Zilker Park, with plenty of gardens for sunbathing. The pool area is separated from the springs and is cleaned weekly to make it a clean safe haven for swimmers. As an added bonus, we could hear the Foo Fighters playing at ACL only a few hundred metres away. We finished our epic street food tour of Austin at an unusual Korean-Mexican fusion food place, Chi’Lantro. 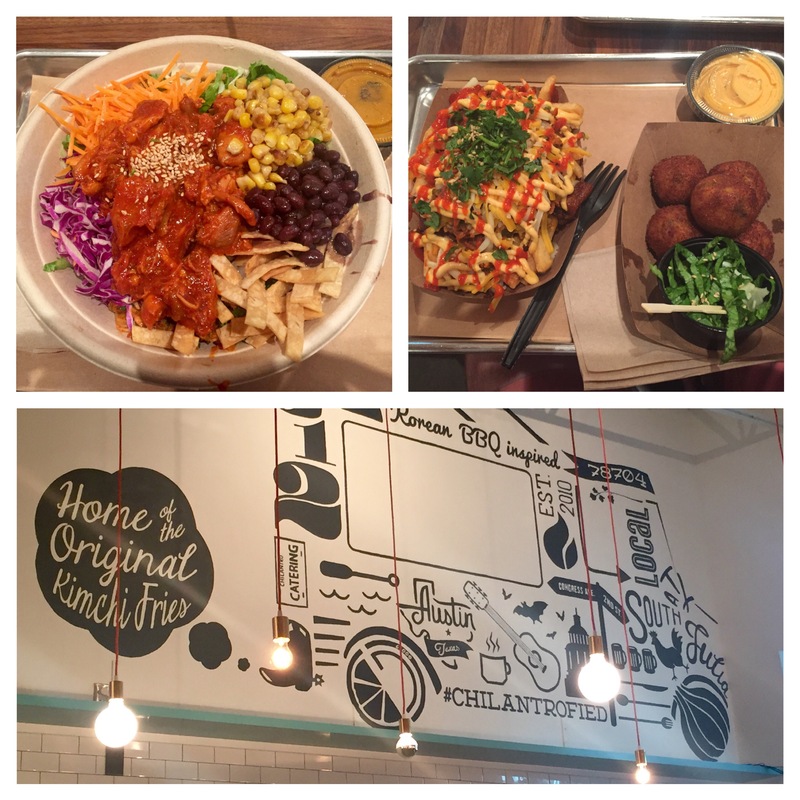 Chi’Lantro started out as a street food truck, adding to this with a permanent residency at South Lamar Blvd. Writing this after our trip to South Korea, we can honestly say this is the best Korean food we have eaten. Chi’Lantro is famous for its kimchi fries, so we had to have a portion: ribeye bulgogi, caramelised kimchi, cheddar and Monterey Jack cheese, onions, coriander, “magic sauce”, sesame seeds and sriracha sauce. Wow. We also ordered the Korean BBQ inspired salad: spicy chicken, lettuce, black beans, grilled corn, garden veggies, kimchi, tortilla strips and a ginger carrot dressing. The Korean-Mexican combination worked so well and the whole plate looked a rainbow of tasty healthiness. It needed to be, after the cheese-laden fries. 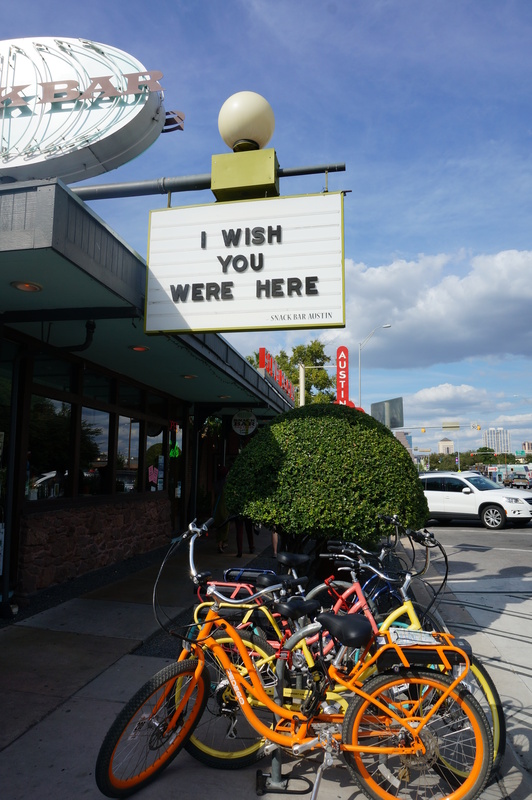 The best thing we ate in Austin? Kimchi fried rice balls with a side of nori seaweed. Like Italian arancini, but with an intense amount of spicy kimchi and gochujang (fermented red chilli and soybean rice paste) and molten Monterey Jack beneath the crispy fried breadcrumb coating. Let’s bring these to the UK!